The state Education Department released 2018 school performance scores and corresponding letter grades earlier this month, and those scores were quickly shared by local mainstream media with all sorts of caveats and qualifications. To be sure, that was a strange turn compared to the manner in which mainstream media has heralded the takeover of public education in New Orleans as some sort of miracle. Not this time. Fresh out of ways to muddy the narrative and pull the wool, the news was much more somber. And it went a lil’ something like this—most school performance scores dropped in 2018, and many letter grades remained the same. A few letter grades even fell. Most news reports went on to attempt to explain the reason for the plummets, dips, falls and plateaus in SPS data. They want us to conclude that it is not really the schools’ fault. 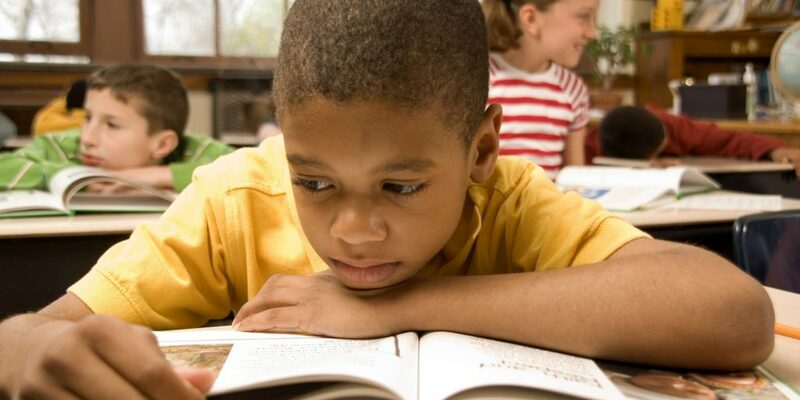 You see, the method and standards for measuring how well schools are doing at educating our children have changed, more specifically they have become a lot more rigorous since 2017 as Louisiana works to align itself with national standards, so on, so forth…and what have you. So uh, let’s not freak out and assume that most of the charter management organizations operating in Orleans Parish have been basically sucking up space and a right good bit of taxpayers’ dollars for the last decade or so without producing any real change or tangible results by way of improved educational outcomes for our children. The standards were changed on them. So it’s not really their fault, you see, nor is it as bad as it might seem. Yeah, right. Still, such cautionary language was needed we suppose. Here we are more than 13 years after Hurricane Katrina, more than 12 years after the takeover of public education and the littering of our local educational landscape with charter management organizations like flies at a crawfish boil under the guise of reform and improvement, and the vast majority of our schools are just fair mediocre, average, so-so…or worse. Yep, Lucy…you got some ‘splaining to do! 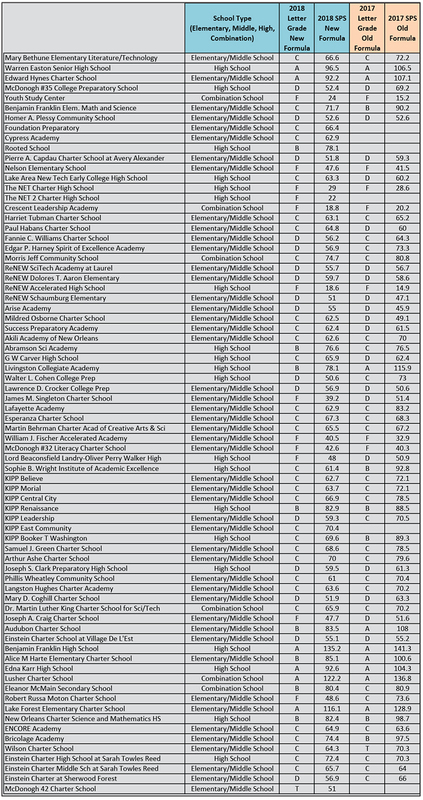 Please help us understand why 58 of 74 New Orleans public schools earned letter grades of C, D or F in the 2018 scoring? Why in the world are there 28 schools sporting school performance scores of 60 or below–scores that would have gotten them swiped from the Orleans Parish School Board and turned over to some charter outfit quicker than a tardy bell rings before first period on a Monday morning had this been right after Hurricane Katrina? Wait, wait…our bad…y’all explained that already…so let’s see if we got it…they changed the formulas…made the assessment and how performance scores are determined more rigorous…so that explains it, right? Sure, we started to feel bad that a school like Nelson Elementary, which actually saw its score rise slightly. Had 2018 data been assessed the same as last year, it would have seen its letter grade creep up from an F to D. Instead, it remained at an F. We nearly went into mourning for Kipp Leadership, which earned a 70.5 SPS in 2017, a score good enough to be assigned a letter grade of C only to plummet to a 59.3 this year—earning it a D. Heck, we almost felt sorry for every school on the list, even Lusher, whose SPS dropped 14 points. There are many other similar scenarios. Check out the data for yourself on page 5. But just before our eyeballs started to sweat, we realized two things. First, we realized that we’ve seen this before—changing the thresholds, amending the laws and otherwise altering how passing and failing schools are determined. Call it déjà vu. This was exactly how the takeover of public schools in Orleans Parish was engineered and orchestrated after Katrina. Uh, anybody else remembers those days before August 2005, when 87.4 was a passing school performance score and only five public schools in Orleans Parish failed to reach that threshold. Those were the days before “Recovery School District” became a household name though it had long existed…those days before the state legislature pencil whipped our local system, voting to lower the failing SPS from 87.4 to 60 and rewriting the law to make nearly every school under the Orleans Parish School Board a failing one to make the takeover easier. Better still, does anybody recall how the state then went back a few years later and raised the passing SPS to hide the fact that schools that had been taken over were failing miserably? The evidence of these shenanigans is visible today. For example, based on the pre-Katrina SPS standard of 87.4, only six of 74 public schools in Orleans Parish (including those that were just “returned” from the RSD) would be considered passing today. In other words, only six of 74 schools earned an SPS score of 87.4 or better in the 2018 SPS assessment. The rest of the lot—68 schools—earned less, in some cases way less than 87.4, and would have been considered failing even before Katrina. In fact, 40 of those schools would have been taken over without the help of the legislature lowering the failing SPS to 60. Yet somehow, even with SPS scores of 85.1 and lower, eight of them will proudly boast that they earned letter grades of B in 2018. And another 31 have earned Cs even though their 2018 school performance score would have been considered failing even before Katrina. If you aren’t confused, you ought to be. Allow us to state this in another way. Based on 2018 school performance scores, only six schools in Orleans Parish are performing as well or better than schools were before Hurricane Katrina. By the way, these schools–Lusher, Franklin, Hynes, Lake Forest, Karr and Warren Easton–were top performers before the the takeover. Based on scores, the rest are performing worse than they were before the storm. That’s right. Their current school performance scores—scores lower than 87.4—would have gotten them taken over even before Katrina. This is positive that not all of our schools were not failing or performing miserably or ever needed to be taken over. That’s the second thing we remembered—that this takeover was a farce and the story of the failing, poor-performing Orleans Parish School System that needed to be dismantled was just that—a story, a fairytale spun and twisted to make way for those who wanted to profit from the disaster that beset our community and even worse, those intent on profiting from our children at the expense of their education. So here we are in November 2018, and the only thing our schools need to recover from is the last 13 years of so-called education reform. By the way, every single elected and appointed official directly responsible for this travesty and every community leader whose silence or support was swapped for personal gain owe the children, parents, veteran educators and taxpayers of New Orleans dearly. Your empty apologies and shoulder shrugs mean nothing to us now. You had an obligation and a responsibility to serve this community, and you failed the children miserably.